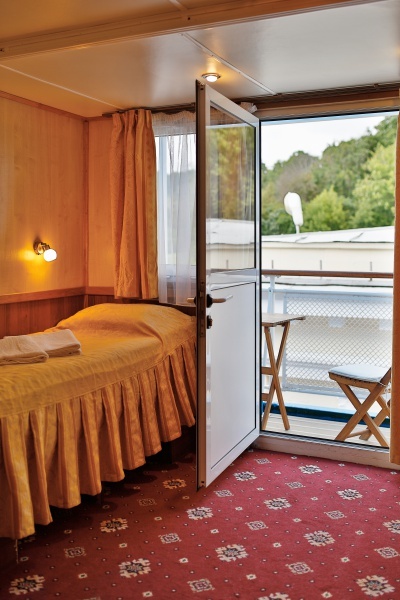 Double cabins, located on the boat deck. 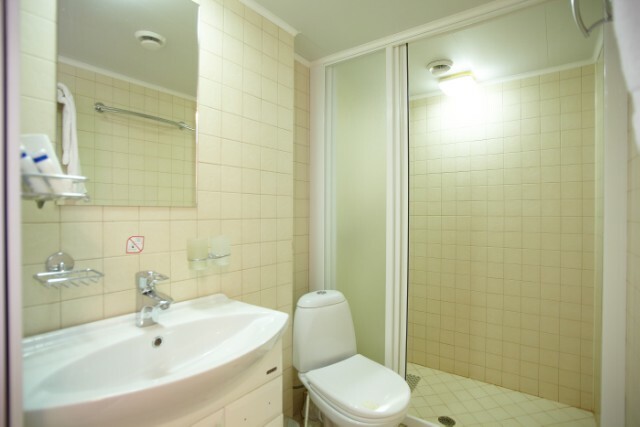 6, 7, 8, 9, 10, 11 – 9.6 square meters. 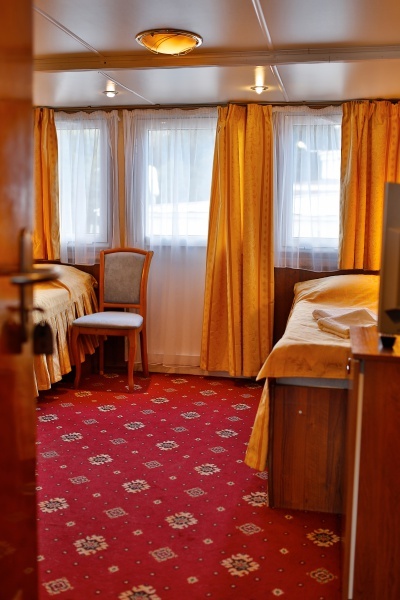 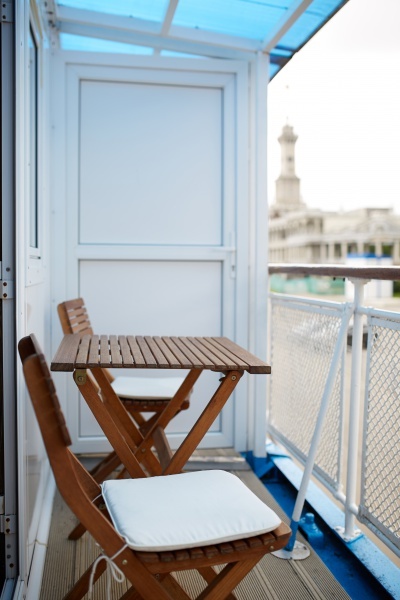 Each cabin includes two single beds, shower, toilet, fridge, TV, air conditioner, hair dryer, individual phone line and a balcony. 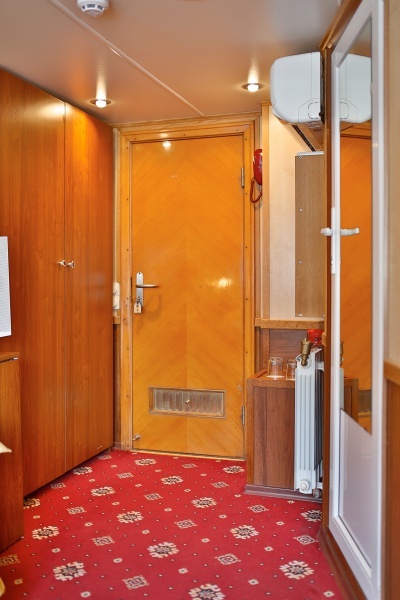 1 – 8.6 square meters. 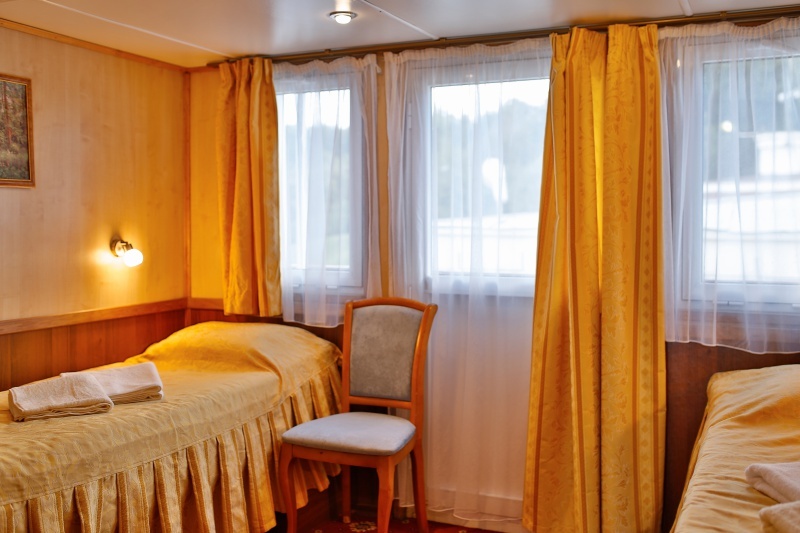 The cabin includes a double bed, shower, toilet, fridge, TV, air conditioner, hair dryer, individual phone line and a balcony.